The ALT MOOC SIG was established in 2013, and continued until 2016. The SIG is now closed. To enable people whose work relates to MOOCs to compare notes and share experiences. 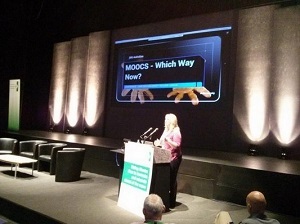 the impact of MOOCs on teaching and learning, and on strategic developments in campus-­based institutions. using MOOC-inspired pedagogy or techniques.